As many of you know, I, along with many other bloggers, were asked to review Ron Clark's newest book, "The End of Molasses Classes". Since this book was such an important read for me, I am hosting a book study which begins in mid-October. Many bloggers have already signed up to host some of the principles, but we are looking for many more bloggers to join us on this journey. After my review of the book, I will post information on how to reach me to participate in the book study. Ron Clark has been an icon in the education world for many years, starting with "The Essential 55", which many educators have taken to heart and model their classrooms using his ideas. His newest book, "The End of Molasses Classes" is an extension, in some part, to the essentials, with some revolutionary ideas intertwined throughout the book. Mr. Clark's very own Ron Clark Academy (RCA) uses the 101 principles found in this book as the foundation for which the school finds all of its successes. Here are my thoughts on some of the principles I find to be ingenious. Principle 12: Set the tone for a love of learning. One would think that this really goes without saying, after all, isn't that why we are teachers? Mr. Clark allowed me to realize that in order to set the tone for a love of learning, my students need to know that I am a life-long learner, not a know-it-all. Teachers just don't know everything and our students need to know that. They need to see that we love learning new things, which will help them become actively engaged in the learning that is going on in our classrooms. Curiosity should never be forgotten and we should make sure that we instill the nature of curiosity in our students. Principle 69: Move around the room throughout the lesson and never remain in the same place. Another principle that should be obvious, but I know that I am guilty of sometimes standing in front of the one student that needs to be re-directed and I never move from that spot. Mr. Clark encourages his teachers to move around the room and to teach their students to "track" the teacher. Students are also taught to "track" the students who are speaking. This gives authority to the speaker and the students in the classroom are focusing on what is being taught. We should be teaching our students this skill from day one, so the boredom doesn't ever set in. Principle 75: Use a djembe drum. Every classroom in the world needs one. There are so many principles that are important, in fact, all 101 principles really have a place in every classroom. How you use them and when you use them are entirely up to you, but this is a must have book for educators and parents. We all need to work together and this is a great starting place for us. If you would like to be a part of the book study please email me at pinksmyink@gmail.com with your email address, your full name, and your blog name. You can also tell me the principles you would like to host and I will try to accommodate you, but please understand that I many need you to host other principles that may not be as popular. I passed the Versatile Blogger Award your way. 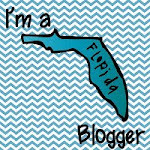 I just awarded you the Versatile Blogger award!